Orlando, Florida, is home to many theme parks, including several water parks. Orlando residents and visitors have another option when looking for a place to get wet and cool off, though. Several of the city’s park’s small water parks, or splash pads, for children and their families to enjoy. Though these locations do not offer any big thrill rides, they provide plenty of water entertainment. 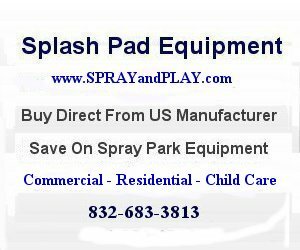 This entry was posted in Florida and tagged Florida, Orlando, splash deck, splash pad, spray grounds, water feature. Bookmark the permalink.